The focus of the article is how to configure the interface for common use cases like connecting a USB 2 device, or simply drawing power. Be aware that some configurations require an active device to manage the negotiations, but in some cases, the configuration is as simple as using a resistor on the right pin. If you want more detail, we covered the connector recently. However, [Scorpia’s] post is a great quick and practical reference for common uses. 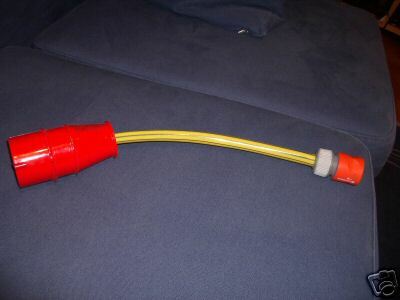 We’ve also seen how bogus type C cables can even be harmful to your computer. Cable photo in the banner by [Maurizio Pesce]. Hey! I was just looking for an article on this, great timing. I always loved micro USB but the ports are always too darn fragile and nonreversible. I’m still trying to figure out how they send DisplayPort / MIPI over USB-C but with limited luck. The Micro B connector is supposed to be more durable than the Mini B. Bullshoi! I’ve plenty of Micro B cables that have worn to the point where that have to be held just right to maintain contact, or have broken. I see plenty of them with broken insulation right by the strain relief, never have had that happen with any Mini B. Not once have I ever had a failed Mini B connector. Most devices using the Micro B connector are plenty thick enough for the Mini B. The point of micro B is that the cable itself wears out, not the jack. I have usually found this to be the case, and it is a lot easier to replace the wire than the device. Most of the devices with failed/flakey jacks that I have are either mini B where the jack has been partially/entirely ripped off the board or long devices with a male usb-A connector (ie, thumbdrives, license dongles, etc) where they have been flexed too many times and the board fails along the line of pins where the jack is soldered into the boad. This exactly! So many people seem to miss the fact that while Micro B doesn’t seem to last as long as I remember Mini-B doing, it is nearly ALWAYS the cable that fails. This is much preferred, as a cable is only a couple bucks, while a device can be anywhere from a couple bucks to a couple hundred, to a couple thousand. I remember replacing three or four phones between ’04 and ’10 due to them using Mini B and the jack on the phone itself failing. Much more expensive than a measly $2 cable. I’m with Galane — micro USB is the work of the devil. It’s anecdotal, but my wife has busted the micro jacks on two cellphones. That thin little tongue on the inside turns out to be fragile. The cables have little “hooks” on them that catch the “slots” in the shield of the jack. Every failure I’ve seen is because the “slots” in the jack wear out over time (become elongated) which makes the cable flt loosely, and the shield around the jack loosens up as a result. Of course this can happen almost instantly if the cable is yanked out, say from tripping over the cable. That’s because the official spec for the mini B connector requires it can withstand 5000 mating cycles, compared to 10000 for the micro B connector. That bad bogus cable is just the world reminding you to put reverse polarity protection on your inputs. Personally I think it’s a fake story with some social engineering purpose. It just got too much attention for a real story and it was timed and supported too much. It’s not like you can’t get tons of bad stuff for regular USB that fries computers left and right. In fact I had a stupid USB hub fry a camera because they did a lousy soldering job, but does it come as such a revelation that invokes immediate industry response? Thousands of people had their stuff fried by regular USB .There are even cases where they designed it such that mains was on the ground plate, I mean come on, it’s not a USB-C only issue. Haha. 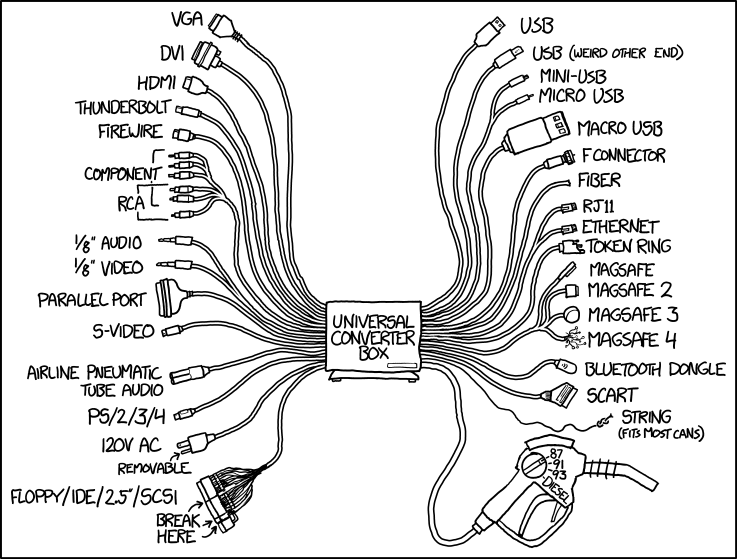 I love how they named it USB as in Universal, and then gave us like twenty different connectors. USB-C I think is going to stick around though! I want to convert VGA to Diesel. That’s useless, there’s no GPIB connector. It’s also an issue of what materials are available, those tiny connectors require manufacturing of very small parts and to have the substrate be strong enough. Plus there is the issue of high frequency, as time passes more is possible, more can be put into tiny chips and you can work reliably with higher frequencies, so what’s easy now was not possible when they they first introduced USB. And there is the need to have mini because all the devices, and especially smartphones, need a small connector. I know about PoE but I messed up my dumb joke. Anyway, did not realize 12 to 25 watts or so was there! USB-D fixes broken polarity protection in USB-C.
USB-E is smaller than USB-D so phones can be even thinner. USB-F fixes broken polarity protection in USB-E.
USB-G uses a flexible connector for foldable phones. USB-H fixes broken polarity protection in USB-G.
USB-Z is compatible with RS-232, as mandated by the State Duma and signed into law by Czar Bernie Sanders the III. Bernie? In the year 32,175 B-Rock “the Islamic Shock” Obama will rule from his golden throne, where he has sat in stasis since the time of the Biden Heresy. Breadboard 0.1″ breakout PCB for a USB-C connector makes controlled-impedance transmission lines cry.